What’s in my Tom Bihn Synapse 19 + Side Effect | Finding delight. 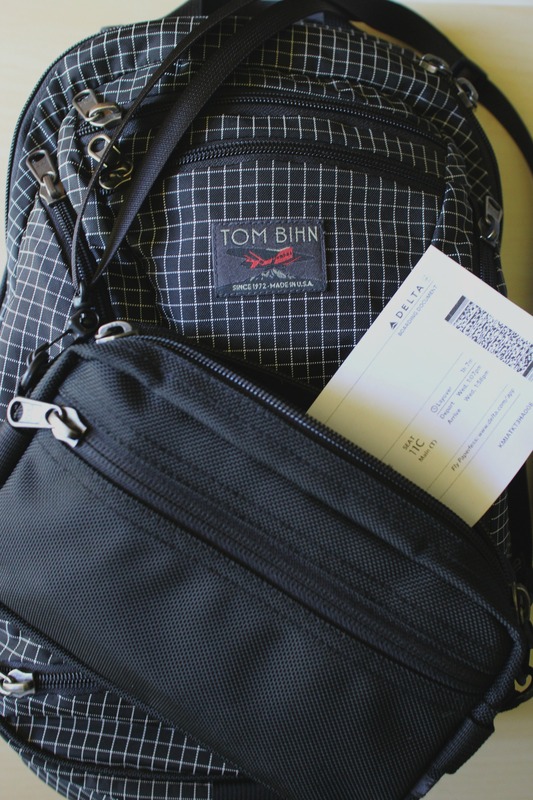 I wish I’d heard of Tom Bihn’s before my trip last year! This looks like a great bag that is perfect for organizing. I write lists and I’m usually quite organised when it comes to packing – I really dislike carrying anything extra, this bag looks like a great product for that! Yes! It’s awesome because everything can have a “home” within the bag. For some reason, I love reading what people takes with them. And that bag! I have never heard of it but now I want it. Luckily this trip was only for a couple days…otherwise I may have been right there with ya on the 50 lb mark, haha! Need one of these bags! This bag look fantastic and so practical! All these pockets make the difference! Great packing list! And a nice lean list of clothing. With that in mind, am wondering what you wore in transit. (Or at least in the airport before your trip, sadly, was cancelled.) Thanks! Hi Kris! For my transit outfit I wore a black t-shirt and jeans with sneakers. I live in Miami and was headed to Louisiana so a jacket wasn’t necessary, but on other trips I wear one to the airport so I don’t have to pack it. Pingback: HEROCLIP – Review & Giveaway! | Finding delight. Pingback: Travel Journal: Los Angeles | Finding delight. Pingback: Tom Bihn Synapse 19 and Synapse 25 IN THE WILD! | Finding delight.